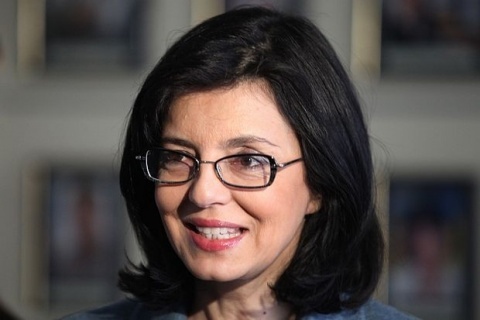 The Bulgaria for Citizens party led by former EU Commissioner Meglena Kuneva has unveiled a list of 31 points forming the backbone of the party's governance program. The measures include a reform of the political system, as well as an emphasis on reviving the economy and boosting Bulgaria's education system. For four weeks now, Bulgaria has been gripped by massive protests against stagnation and political corruption, which have led to the resignation of PM Boyko Borisov, with early elections looming in mid-May, just months before the July date for regular elections. The first point in Bulgaria for Citizens's list of "31 Things That Will Change Our Lives" includes the drafting of a new constitution to ensure greater responsibility from those in power. The policy bids also feature increased spending for education and stimuli for the economy, in particular for small and medium enterprises. The list includes promises such as "we will abolish privileges for MPs" and "we will cut in half the subsidies for political parties." An emphasis is also placed on Bulgaria's ailing healthcare system. Among the political reforms promised by Bulgaria for Citizens is the participation of citizens in state regulatory organs. The list of 31 policies was presented by Meglena Kuneva at a party forum held Sunday in the city of Varna.